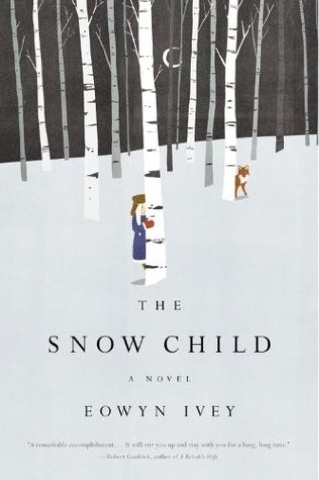 The Snow Child is a magical book about 1920's Alaska where Jack and Mabel decide to homestead. Life is lonely for Mabel while Jack works nonstop keeping their farm afloat. Wishing for a child to fulfill their life they build a little snow child in fun. And that's where the magic begins to happen. Magical realism mixed with their difficult Alaskan life is a perfect juxtaposition for an amazing story~perfect to sweep you away on a bitter cold day.